This week, we’re delighted to bring you an incredible prize from our brilliant friends at Sony. 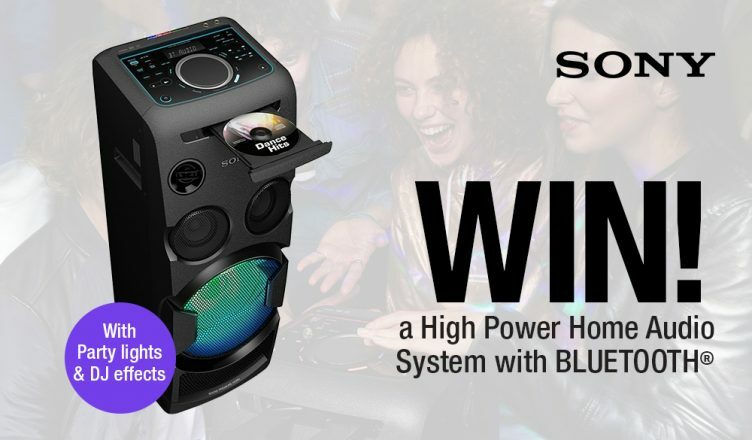 One lucky winner will be starting their spring ready to party, thanks to a Sony MHC-V50D high power home audio system with Bluetooth® technology, thanks to our latest free to enter competition. Read on to find out more and discover how you can win in our online competition. 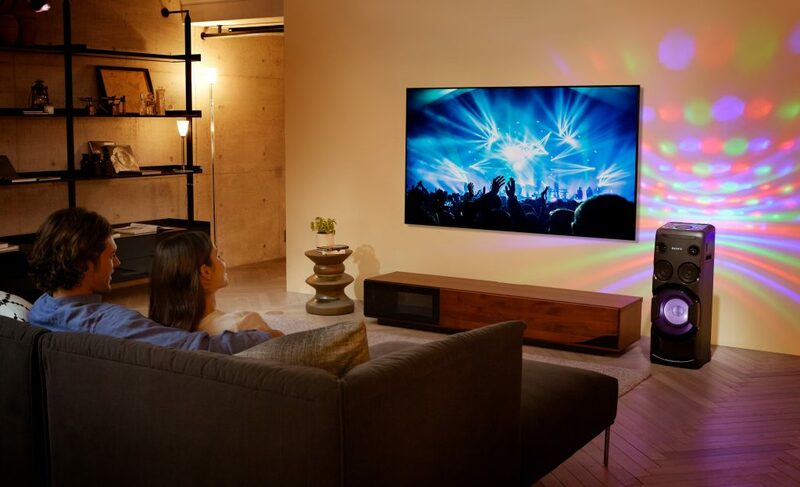 Brilliant Bluetooth® connectivity just got even better, thanks to incredible streaming from Sony’s LDAC™. LDAC is a new audio technology created by Sony that ensures you can enjoy the highest quality wireless audio via Bluetooth®. LDAC allows you to transmit up to 3 times more data, providing an enhanced wireless listening experience for all your music. Get the party started and pump up the atmosphere with speaker illuminations that allow you to recreate your favourite club – in your home! The Sony MHC-V50D lights synchronise with your music and pulse perfectly to the beat so that you can create swiftly turn your dining room into the dance floor! The touch key display lights up so, even if you’re partying in the dark, the illuminated control panel ensures you have simple control for effortless music playback and speaker lights. Want to take the party with you? Sony have thought of that with a compact one-box design that ensures maximum portability. Whether you’re partying with friends at home or you want to take the gathering elsewhere, the clever design features subtly recessed built-in handles that gives you convenience and portability. If you love to sing-along to your favourite tunes, then you are going to love the karaoke features on the Sony MHC-V50D. 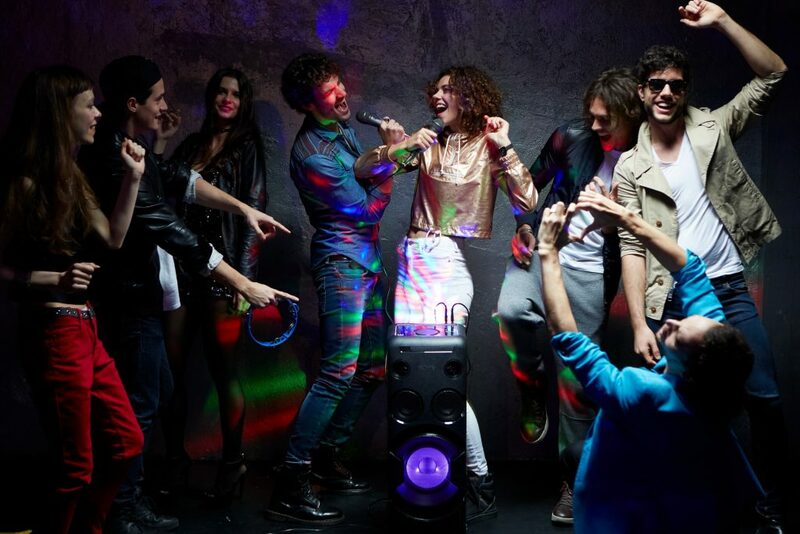 Starting a karaoke competition with your mates is simple: hook your MHC-V50D up to a compatible TV, load a karaoke DVD, or stream videos with lyrics on YouTube™ via Bluetooth technology. With two mic inputs, scoring and brilliant sound effects the ultimate sing-off can be coming to a living room near you! If you want to sing alongside your favourite artists, the built-in vocal fader function can fade the voice on CDs, so whether your thing is Sheeran, Sinatra or Slipknot, you can join in! Release your inner DJ with Sony’s DJ Effects functions. Four different effects puts you in charge of getting the party started and allows you to put your own spin on your tracks. Choose from Flanger, which creates a deep roaring effect; WAH distorts the audio; Isolator singles out a specific frequency band; and PAN sweeps the sound across the speakers. To use DJ effects, download the free Sony Fiestable app and gesture control, and enjoy getting creative with your party playlists. Plug in, press the Guitar key and you’ll get powerful sound for your guitar. Make your mini concert solo style or connect a microphone and add a lead singer! When you’re all partied out, sit back, relax, and enjoy your favourite film on the built-in DVD player. The Sony MHC-V50D puts you right at the heart of the action; be mesmerised by every explosion, action sequence, and dramatic scene thanks to the surround sound. Enjoy seamless streaming with Near Field Communication (NFC) and Bluetooth technology that remove the need for wired connections and erase the need for complex set-up. Just touch your NFC-enabled device to the MHC-V50D for an effortless and seamless connection, then start streaming your music collection. If you don’t have NFC, simply connect via Bluetooth technology and you’re ready to go. 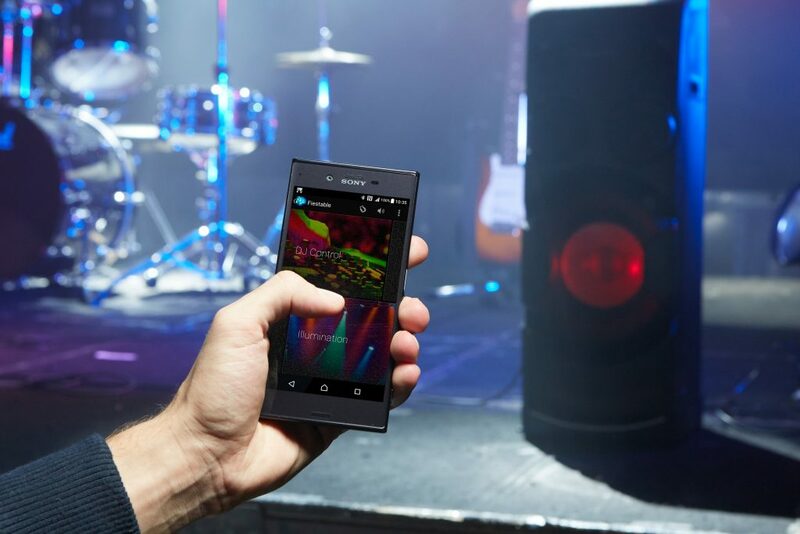 Download the free Sony Music Centre app for your smartphone or tablet and take control of your music collection. Connect via Bluetooth and you get seamless access to all your favourite tracks. You can also use the app to customise your sound settings to ensure you get great, balanced audio, the way you want it. If you have tracks stored on a USB, there’s a handy USB port that lets you plug in and play. You can also connect your device to the PLAY/REC port and easily transfer music from your CDs straight – via the built-in CD player – to your removable USB. In short, this Sony MHC-V50D High Power Home Audio System with BLUETOOTH® Technology is a must-have for music lovers, allowing you to create an awesome party in your own home – or anywhere! It’s not just for partying, though; there’s a built-in CD player, compatible with CD, CD-R and CD-RW discs and an FM tuner. Better than buying one is the chance to WIN one; so find out more and be in with a chance of winning by heading to our Facebook, Twitter or Instagram pages to find out how you can enter our brilliant FREE competition. You can also buy online, use our Click & Collect service to collect from your local store in as little as one hour or why not ask your local store about viewing our Sony range.